Nordstrom Tower which is currently under construction, will be the tallest residential building in the world when completed in 2018. Located at 227 West, 57th Street, this skyscraper with a height of 540 metres will be the tallest building in the western hemisphere, higher than that of the One World Trade Center. 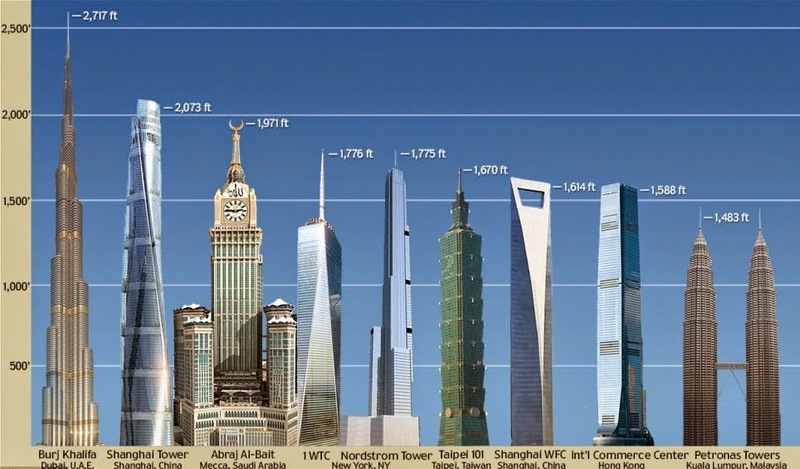 Although One World Trade Center has a height of 541 meters which is one metre higher than the Nordstrom Tower. The Nordstrom Tower will rise above the heights of another world residential building, the Mumbai World One Tower and 432 Park Avenue. The Nordstrom Tower has an area of ​​1.2 million square feet, that takes up the first seven storeys of the building. Additionally, the Nordstrom Tower is reported to have increased height of 91 metres from more than any other building that is found in the city of New York. The people who are responsible for designing the Nordstrom Tower are two of renowned architects, Adrian Smith and Gordon Gill, who are known for their work in the designing of the tallest buildings in the world, the Burj Khalifa, in Dubai.